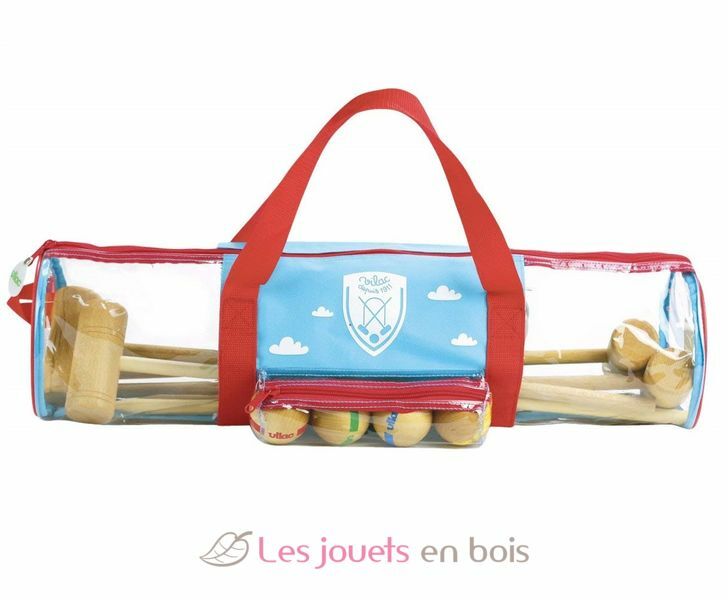 4 players junior croquet set with bag. 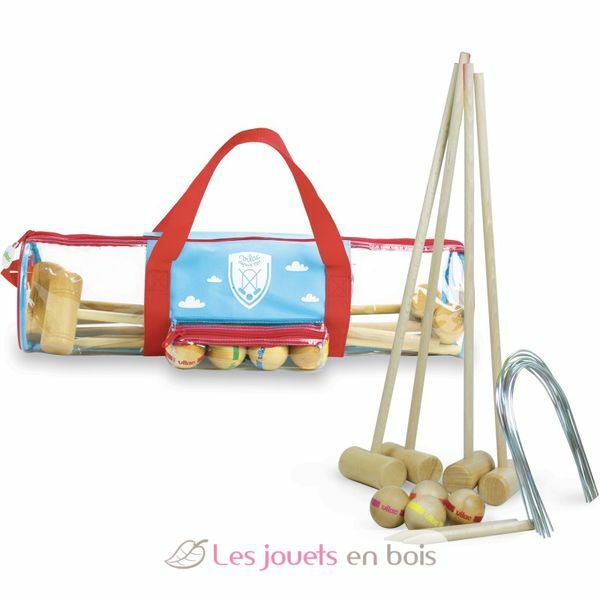 Traditional wooden Croquet Set in a bag for easy transport so you can play anywhere. 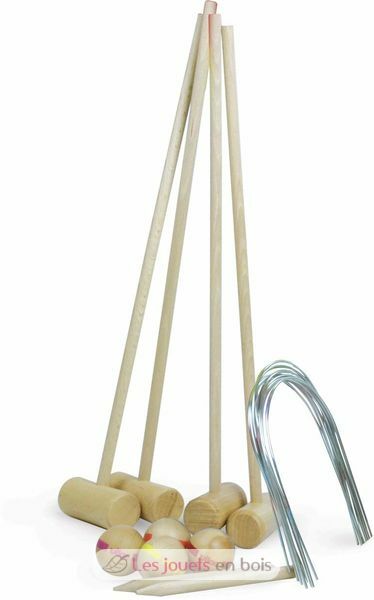 Made in France by Vilac.